More than scissors - shapers. 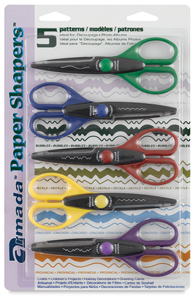 This tool by Armada can be used to make unique borders, greeting cards, 3-D designs, and much more. They work on colored paper, acetate, tinfoil, fabric, and many other materials. Create designs with Victorian flair using this unique set of Paper Shapers. It includes Inchworm, Wave, Pinking, Heartbeat, and Victorian patterns. 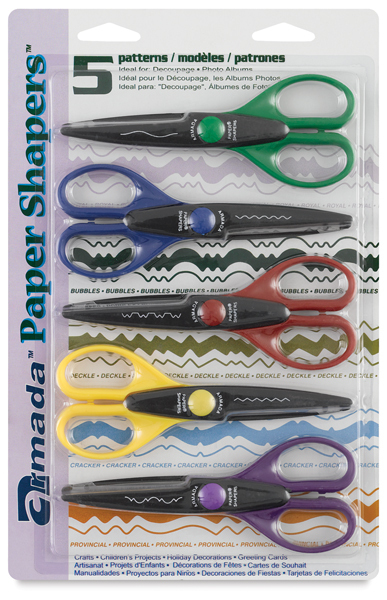 ® Armada is a registered trademark.™ Paper Shapers is a trademark.